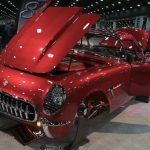 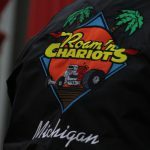 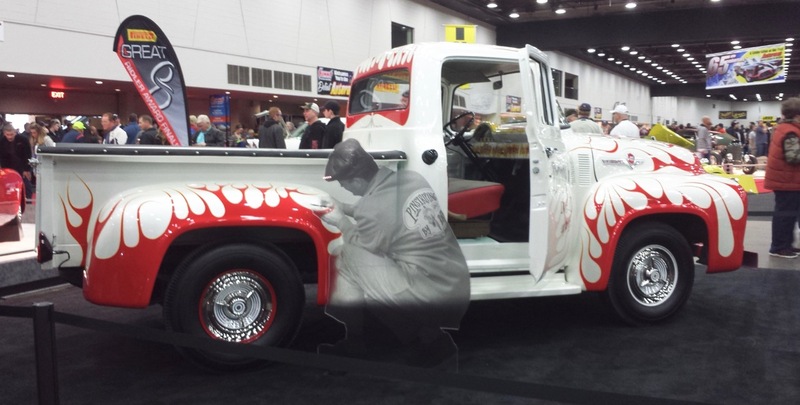 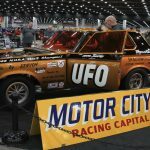 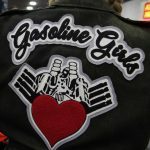 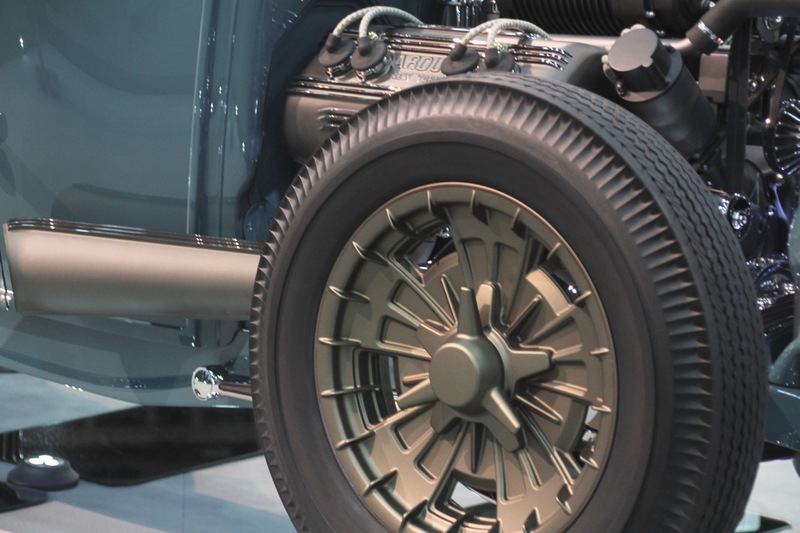 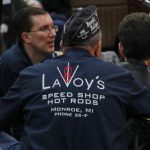 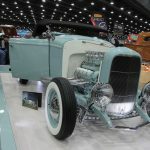 There’s no denying that the 65th annual Detroit Autorama started with a big bang this year. 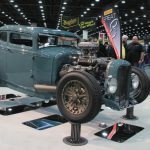 There’s no denying that the 65th annual Detroit Autorama started with a big bang this year. 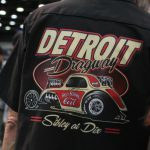 To launch the show — quite literally — a “General Lee” 1969 Dodge Charger raced along the riverfront street next to the Cobo Center in downtown Detroit and sped up a ramp and flew over the pavement, just like Bo and Luke would do on The Dukes of Hazzard television show. 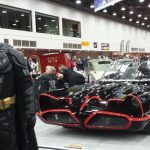 Tom Wopat, the actor who played the role of Luke in the TV show, and Catherine Bach (Daisy) made appearances at the show over the weekend. 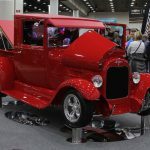 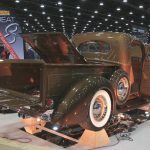 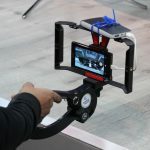 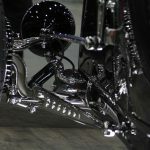 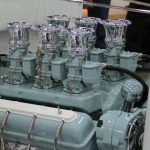 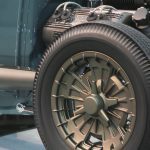 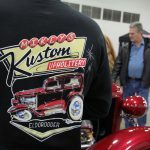 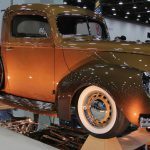 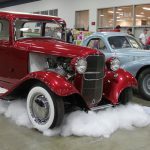 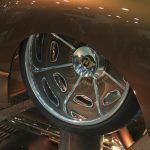 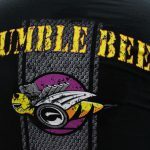 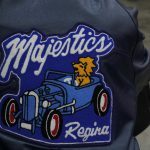 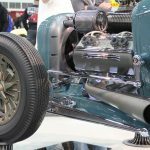 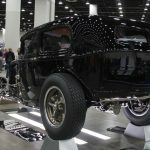 The show featured hundreds of hot rods and custom cars with judges selecting the “Great Eight,” the finalists for one of the hobby’s most prestigious trophies, the Ridler Award, named for Don Ridler, the show’s original promoter. 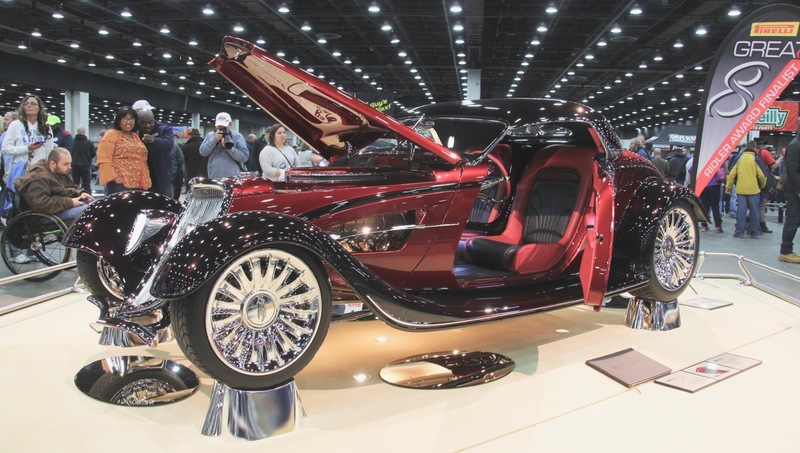 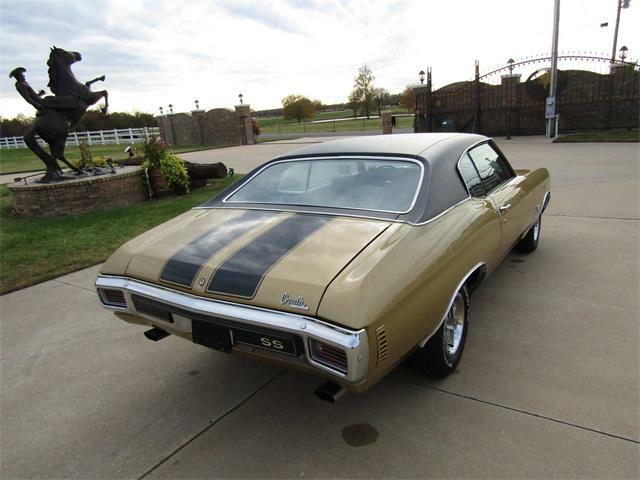 To be eligible for the Ridler, a vehicle has to be making its debut at the Detroit event. 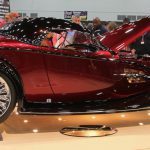 The Ridler went to the Renaissance Roadster, built over a period of nearly four years by Steve Frisbie of Steve’s Auto Restorations of Portland. 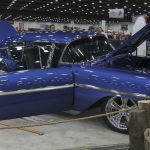 All hand-built and completed just days before the show opened, the car is propelled by a Chevrolet 427 V8, one of 427 examples built by Chevrolet Performance to celebrate the anniversary of the original COPO Camaro powerplant from 1969.